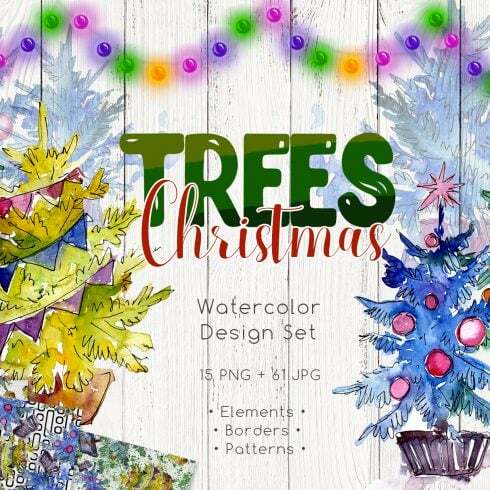 Trees Christmas symbol in a watercolor style of 76 files. 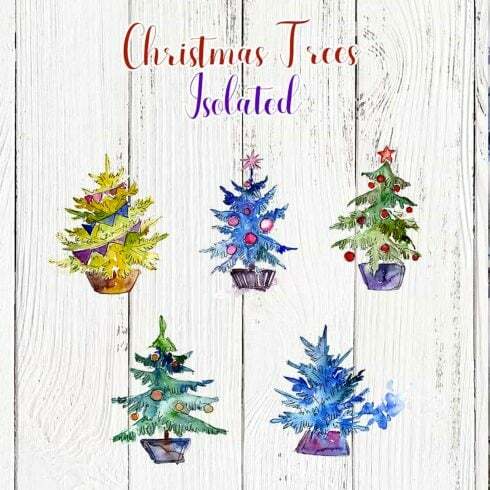 Aquarelle christmas card for background, texture, wrapper pattern, frame or border. Ideal material for DIY, greeting cards, quotes, blogs, menu, posters and more. Virtually every pro designer, as a qualified professional, absolutely should be able to draw any image from a blank canvas. But for the most objectives, it would take too much effort and will not deliver adequate revenue for him or her. That is why most of the web designers work with ready-made visual components – incorporate them, adjust them and develop the design with them. Noone is going to buy all those components one at a time, so that’s precisely why they are put into graphic bundles and offered as a singular product. The pros of graphic packages for web designers are pretty evident. However if you are new to those elements and still have concerns, the subsequent information and facts is going to be helpful for you. Including a great number of the elements within a single bundle, the collection provides you with an opportunity to use different of them for a number of tasks. What’s more, the price is typically greatly reduced which allows you to stretch your budget, yet get the entire set worth hundreds or thousands of dollars. Given that all of the package deals are different from one to another, every designer will discover the needed selection for a specific project. Browsing them you will find the selections including illustration swatches, social media infographics, UI kits, business cards, and much more. On MasterBundles marketplace, you’ll find over 450 graphic package deals to pick from. That said, you’ll not have even an opportunity to leave the website without a bundle or two. How to spend significantly less bucks on MasterBundles.com bundles? Ok, I do know they are already affordable, but there is still some place to save. If you will share this webpage via social networks – you immediately receive the 5% discount for the graphic bundles you prefer. That’s a quite simple way of getting an expertly developed tools for a lower price. MasterBundles.com could offer you a large selection of unique products. MasterBundles markets not just graphics bundles but additionally roughly 20 other different types of goods. Fonts, WordPress themes, mockups, icons, photos, illustrations, presentation templates and much more – on the MasterBundles.com it’s possible to locate all of the graphic elements, required for a design. The watercolor graphics bundle can be described as a bundle containing pictures and illustrations made with watercolors. They will fit for a range of businesses, such as fashion, cosmetics, food distributors and perfume. Themed wedding invitations or business cards could also be designed with this kind of bundle. MasterBundles.com is a site that gathers design products from around the internet and allows you to purchase the components you need in your work for a cheaper price .. Bundles this website carries are restricted in time, and that is the reason why they are so low-priced. To prevent missing out on the sale you will be definitely pleased with – subscribe for the email newsletter, showing you the most recent offers. MasterBundles.com also has a great blog with the unique design news and features described.